Today I am Vicar of Whitegate and Little Budworth. And we’ll still be friends, fellow-believers, all called to do God’s work and to make Jesus known. To me, it’s a real miracle that I’m here, preaching in a pulpit, because as a teenage boy I stuttered when asked to say anything in public. I believe that God guided me to fluency of speech through being a junior school teacher and working with children, by the local Vicar in Essex asking me to lead a chorus time in Family Services, and mainly through singing, because you can’t stutter when you sing. Even so, I couldn’t have imagined back then that God would call me to a ministry that involved so much public speaking, even sometimes the pressure of speaking live on radio. So I can testify God has been at work in my life, despite my failings and frailties, he has brought me through, called me to follow him, and given me the strength and confidence that I have needed. What helps also is being sure of the message you have to share. And I am convinced, to the extent of being passionate, that the Gospel message needs to be heard and lived out so that we can grow in faith and understanding, and so that people out there can come to know Jesus for themselves. In our gospel reading today we learn some key things about Jesus, and some interesting things about ourselves. The feeding of the 5,000, plus Jesus walking on the surface of stormy Lake Galilee. 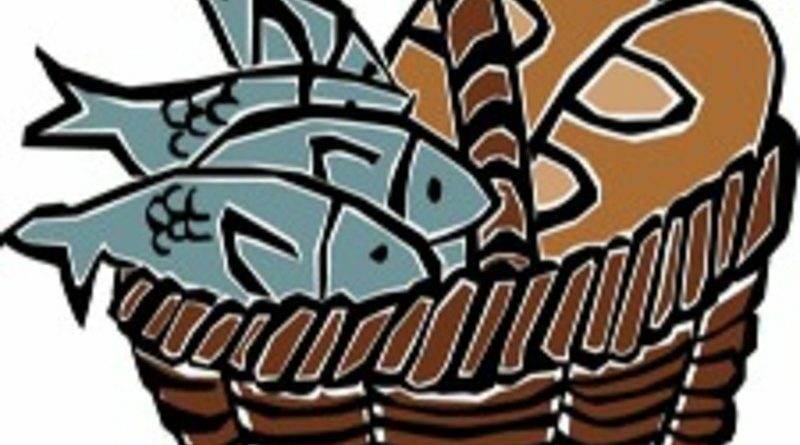 You know the rest of the story: Jesus gave thanks to God, blessed the bread and fish, they shared it out, the 5,000 people ate their fill, and then the disciples gathered up 12 baskets full of the left-overs. Startling. Amazing. Who is this man? The question is the same for us all 2,000 years later, and just as urgent and pressing. Consider again the healings, the miracles and extra-ordinary happenings. Imagine the atmosphere that was created when ordinary people were with Jesus. They felt accepted, welcomed and loved. He had charisma, but much more than that, he was the living evidence of a God who is smiling, forgiving and full of blessing and affirmation, a God whose nature is not severe and judgemental, but a God who is on our side, because he loves you, and he loves me. What the world is actually facing now is political tension, politicians with over-inflated egos and the love of power. What we’re facing are the dangers of violent conflict, of climate change and extremes of weather; the reality of a burgeoning population and working out how we can share the resources of the world fairly. It’s a laid-back, gentle melody but it’s expressing a life or death question. How is unselfish love going to happen? Brothers and sisters, dear friends, Jesus is the key, alive and at work among us. Where there is deceit and double-dealing he embodies trust and faith. Where you get things wrong he brings full-forgiveness. When you are at your wit’s end…his grace and peace will see you through. He can do this because he is who he says he is. He does not lie. He is the good shepherd. The light of the world. The resurrection and the life. And finally. What shall I say for a final point, an enduring thought?? Simply offer to God what you have and who you are. Offer yourself sincerely and wholeheartedly. The result of that risk of taking God seriously is that he will bless you, surprisingly, amazingly, more than you expect. That’s why I am not worried about leaving Whitegate and Little Budworth. Sad of course, but not worried.